Lazy Dave, Lazy Dave, it just rolls off the tongue, what a fantastic title. 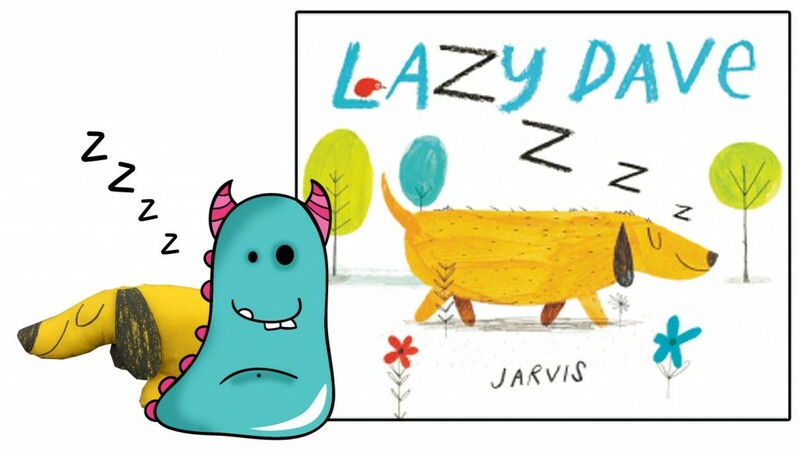 Lazy Dave is a new wonderful offering from Jarvis (Peter) and his debut as a picture book author. I came across this book for the first time on Twitter and was instantly drawn to the wonderful simple title, bold colourful cover and of course that gorgeous pup. 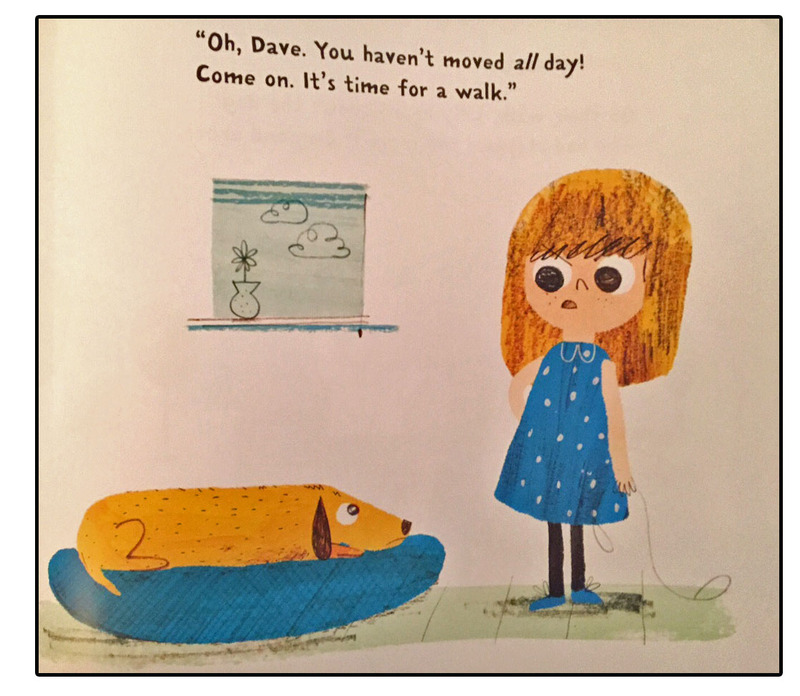 We’ve all known a Lazy Dave right? Maybe a dog like him we owned once, or belonging to a family member or a friend? He is portly, slightly scruffy, a little whiffy and incredibly lazy. This picture book is a gorgeous tribute to all those lovely lazy mutts. Jarvis tells us about Dave, a typical dog, who loves to lounge around and sleep. When his little owner Lily goes off to school though, we learn that Dave isn’t necessarily as lazy as he seems. Dave sleepwalks. 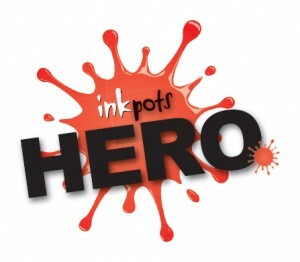 In this story he sleepwalks into all sorts of exciting adventures and even becomes an unintentional town hero!!! All while fast asleep and all while his owner is oblivious at school. Lazy Dave made me feel quite nostalgic when reading, and I think it’s down to the old fashioned robber, mayor and the fact that Dave becomes an accidental hero. 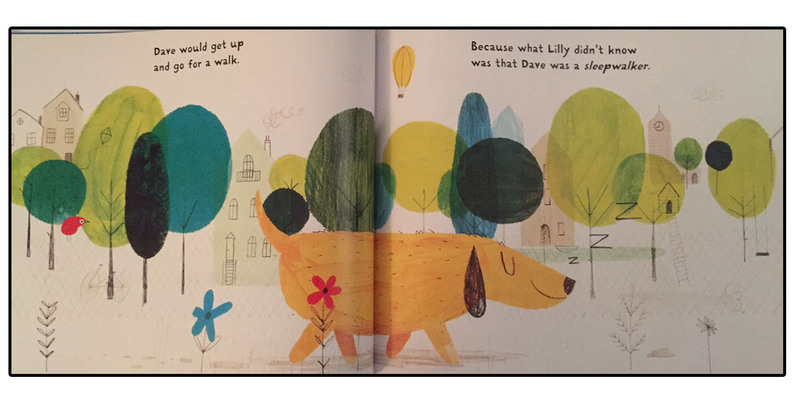 It has elements of the traditional picture book storytelling, but with wonderful modern, quirky twists such as the fact Dave is asleep the whole time (a constant trail of Zs follow the little fellow around) and the sweet little ending with Lily and Dave (although my heart broke at one point for the dog and you’ll see why when you read it). Lazy Dave had arrived at the library and within moments was being eagerly leafed through by visiting children while clutching our cuddly version of Dave in one hand. It clearly really appeals to them and I can see why. The cover and contents are eye catching and it’s jam packed with funny moments, adventure, emotion and that unconditional love we have for our pets. On an educational note, I also really like the inclusion of the days of the week. I can’t tell you how many times we get asked for books covering the days of the week in the library, and this does it simply and clearly without compromising on the story. There’s loads of scope for teachers in this book, from learning the days with young children to creative writing with older ones (writing or illustrating their own sleepwalking adventure for instance). 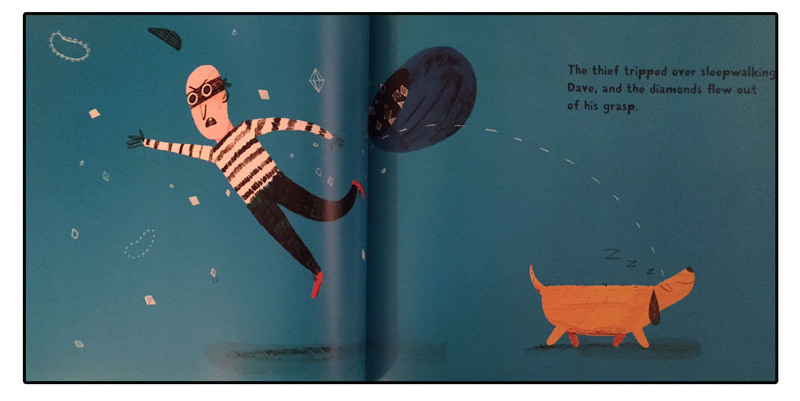 Lazy Dave is delightful, lovely to look at and such fun to read by both children and adults alike. I for one can’t wait to see more books written and illustrated by Jarvis in the future. 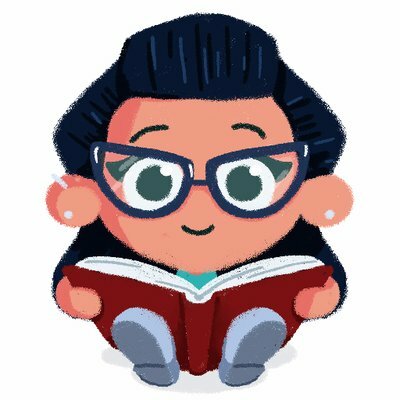 Thanks for reading this sleepy Book Monster review!